Welcome to the Congenital Heart Disease (CHD) page. Mayo Clinic has cared for child and adult patients living with CHD for more than 60 years. With extensive expertise in treating people with rare and common congenital heart defects, our medical specialists provide exactly the care you need. Follow the CHD page and stay up-to-date as we post stories, clinical trials, resources and other useful information to help you and your loved ones along the CHD journey. Post a comment and share your thoughts. Mayo Clinic Adult Congenital Heart Disease expert Naser Ammash, M.D., discusses partial anomalous pulmonary venous connection (PAPVC). 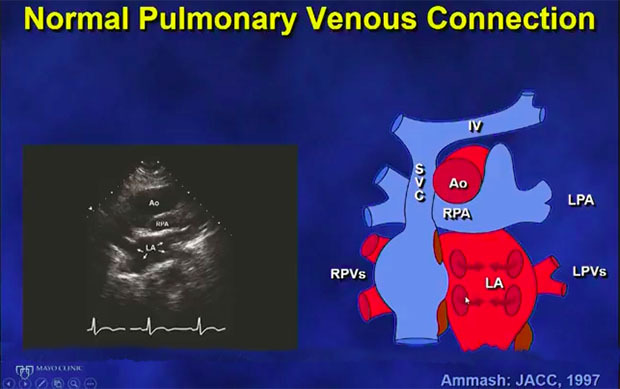 Anomalous pulmonary venous connections are a rare and simple congenital heart defect when they occur in isolation. However, in many patients, they are associated with other congenital heart diseases such as atrial septal defect or Tetralogy of Fallot. Transthoracic echocardiogram, transesophageal echocardiogram, CT scan, and MRI can all be used to identify anomalous pulmonary venous connections, and treatment can often times require surgical repair. Learn more about pulmonary and critical care. 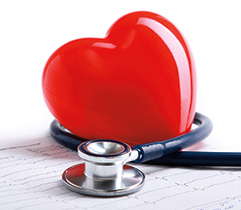 Learn more about the symptoms and causes of congenital heart disease. Send an email to invite people you know to join the Congenital Heart Disease page.